If you want to learn a town’s history, you visit a museum. For its present, visit the local bars and coffee shops. Taste a wide range of flavors, and the local culture, at the spirited cafes and breweries in Cedar Park, located in the northern outskirts of Austin. With an emphasis on handcrafted quality, Cedar Park is a treasure-trove of house-made beans and brews. Whether you’re looking for a luscious latte, an inviting IPA, or all the above, you’ll find it here. Treat yourself to something delicious at these spots in Cedar Park. Why You Should Visit: The coffee and craft beer is as fresh as it gets. Sweet or savory. Caffeinated or craft-brewed. 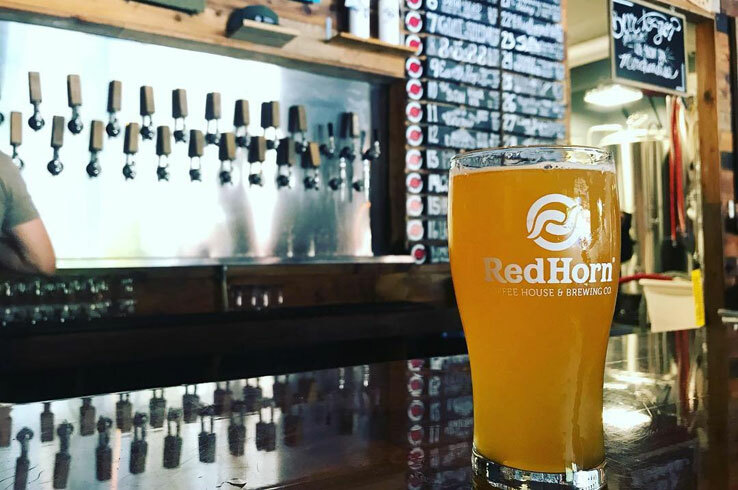 Whatever you’re in the mood for, Red Horn Coffee House and Brewing Co. has you taken care of. Artisan house-roasted coffee and a large selection of house beers—including a stout brewed with fresh roasted coffee—make this brew-tasting experience one that you can enjoy any time of the day. In addition to quality local eats and drinks, your inner nerd can get competitive at Geeks Who Drink pub trivia nights. Weekends are for the cool kids, where you can enjoy a beer flight, and a meat and cheese board (locally sourced, of course) to the melodies of live music. Why You Should Visit: The impressive Cloud Puff Latte, which must be seen to be believed. With a sensory experience that will challenge your idea of a traditional coffee shop, Black Sugar Caffé has some tasty surprises in store for you. Their specialty coffee menu is creative, robust, and delicious, with the Cloud Puff Latte as the star of the show. 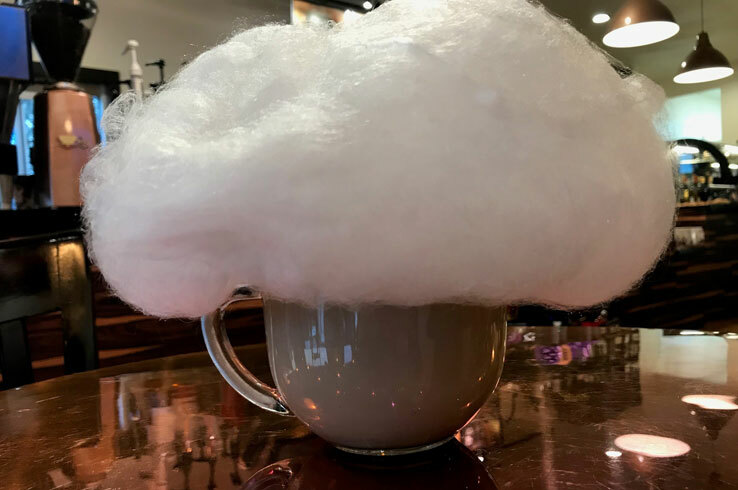 Perfectly Instagrammable, this one-of-a-kind latte is topped with a huge “cloud” of fluffy cotton candy. Smoothies, boba drinks, beer, wine, breakfast items, tapas, and treats give you plenty to sample. Hang out for a bit and you’ll feel right at home. Why You Should Visit: Delicious craft beer and the friendly ambience. 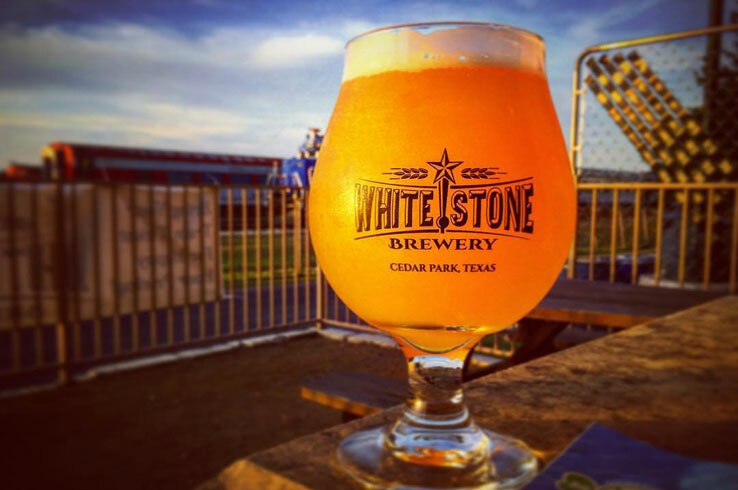 With a distinctly Texan vibe—complete with both a Texas flag and a “Come and Take It” flag displayed over the lounge fireplace—Whitestone Brewery has a full range of house-made beers pouring from its taps, including a refreshing hefeweizen and a delightfully malty IPA . Grab your beer and play a game outside on the covered patio or grab a bite from the on-site food truck. With such an inviting ambience, it’s easy to find yourself hanging around for hours. Why You Should Visit: Coffee, pastries, local craft beer on draft, and even growler fills. Whether you’re looking for a drink in the morning or at night, Easy Tiger is there for you. 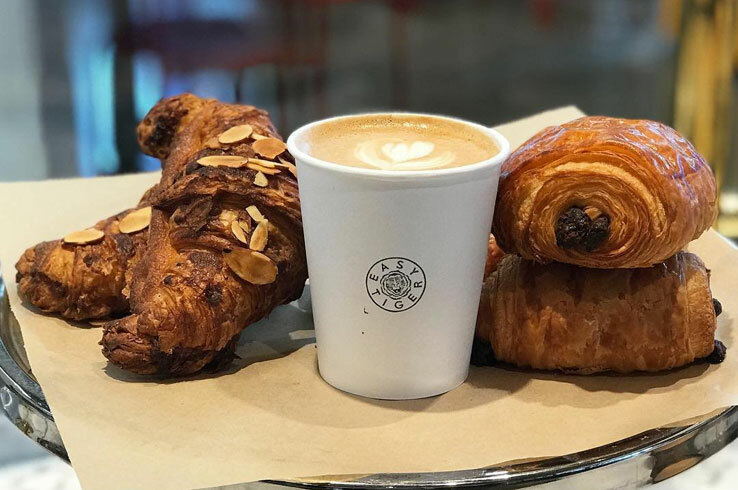 Located in Cedar Park’s Whole Foods, this bakeshop and beer garden offers local coffee, beer, wine, and plenty of food. One visit and you’ll find yourself returning without your grocery list. The cafe even hosts specialty evenings, such as Wine Wednesday and Meet the Brewer events complete with tasting flights. Relax outside under the patio umbrellas or enjoy your order inside the café. You can even sip and shop, if you like. Why You Should Visit: Coffees made with locally roasted beans. Oh, and all the comfy chairs. 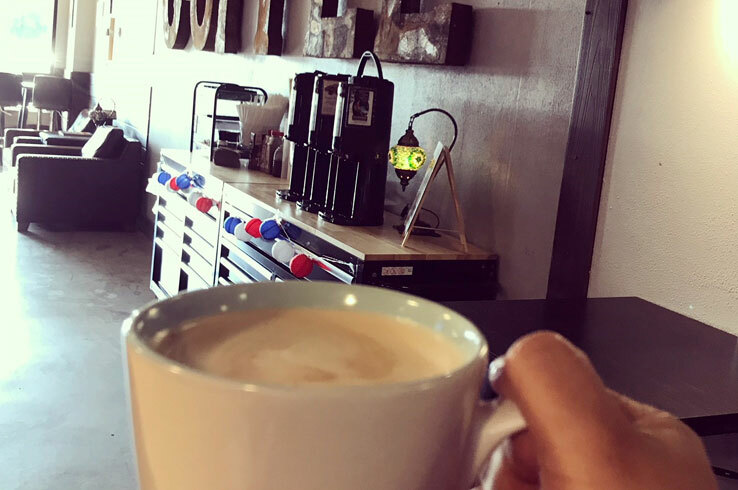 Sip a full-bodied local brew in an oversized leather chair and you’ll wonder why you haven’t been to Cypress Creek Coffee Co. before. The trendy, modern industrial atmosphere is perfectly paired with coffee brewed from beans roasted by Austin-based Texas Coffee Traders. Pull up a chair at the coffee bar and chat away with the friendly baristas while they make your drink. The menu of lattes, cappuccinos, cold brews, hot tea, smoothies, and even kombucha serves up plenty of variety too, so there’s always something new to try. Why You Should Visit: Espressos, drip coffees, and fun shakes like the Savannah Banana and Chai me a River. Smooth, sophisticated, and bold … and that’s not just describing the coffee. 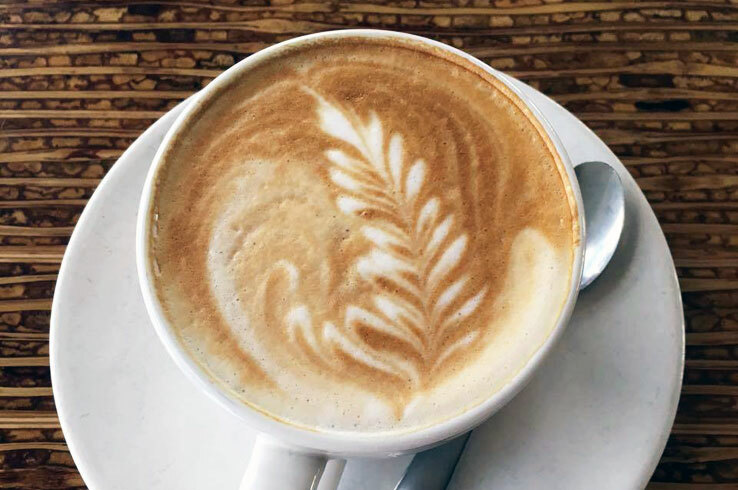 Lola Savannah impresses with their luxurious approach to espresso (you’ll be wowed by the exquisite latte art) and their classy vibe. Shake it up with a milkshake or sip on a frothy cappuccino. This is the kind of place where you set aside some “me time,” grab your drink of choice, and settle into your favorite book. The upscale Grove Wine Bar | Kitchen is right next door, where you can dine on locally sourced food like Texas quail and drink your favorite wine on a date night with your sweetheart. Why You Should Visit: French pot ice cream that pairs perfectly with locally roasted coffee. A spoonful of rich, handcrafted ice cream followed by a velvety smooth sip of coffee makes for a perfect pairing at this local sweet spot. Ice cream lovers are in for a treat because this is one of only four non-Graeter’s shops nationwide that has permission to serve Graeter’s ice cream, known since 1870 for their decadent chocolate and all-natural ingredients. 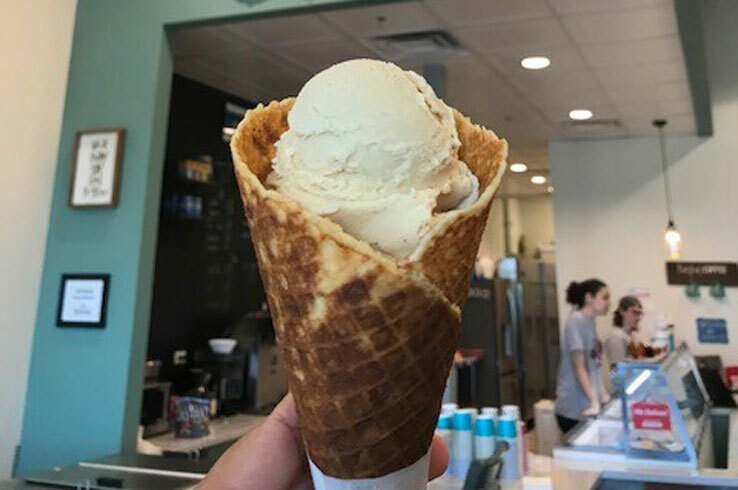 A family-owned business, Scoop and Score prides itself on quality, in both their ice cream and their locally-roasted coffee. There are plenty of options to sooth your sweet tooth. Discover why the shop is known for their Salted Caramel Affogato, a buttery shot of espresso poured over a scoop of salted caramel ice cream. No matter what kind of brew you love, you’ll find plenty to enjoy in Cedar Park. Every spot offers its own twist on craft beer and coffee that’s paired with an ambience all its own. Sip, savor, and hang out, all here in Cedar Park. Plan your visit here. About the Author: Ashley Donde is a freelance writer who loves adventure. Her family of four can often be found exploring the great outdoors, touring museums, or enjoying a local festival.